I feel like the come-back kid who cannot down his tools, even after he has publicly announced he will. Holidays are beckoning, still, but a series of updates on Conviction Calls and Model Portfolios by stockbrokers and investment bankers this past week are triggering one more general update from me, after which I will surely take my year-end holiday break. That's a promise. Market strategists at Citi have turned positive on the Big Four banks in Australia, an event that hadn't been witnessed for over a decade, on the firm's own admission. It's not a case of halcyon days are about to return, but more of so much bad news has been priced in, it is difficult to see how share prices can fall a lot lower from November's beaten down levels. Ironically, this implies that were the share market to weaken a lot further in 2019, Australian banks should offer relative protection to the downside, assisted by those above-average yield/income promises. Citi's positive, value-inspired stance on Australian banks is matched by equally positive views by (some) peers elsewhere, like Shaw and Partners' Brett Le Mesurier and Bell Potter's TS Lim, to name but a few (but not Morgan Stanley and UBS). In order to provide the complete picture: Le Mesurier at Shaw has currently Buy ratings for all of the Big Four, plus regionals Bendigo and Adalaide Bank ((BEN)), Bank of Queensland ((BOQ)) and Suncorp ((SUN)), while CYBG ((CYB)) is rated Hold. The three main insurers are all rated Sell, as is Challenger ((CGF)). At Bell Potter, both ANZ Bank ((ANZ)) and Westpac ((WBC)) are rated Buy, with Hold ratings for CommBank ((CBA)) and National Australia Bank ((NAB)). It is a popular trait in a "value" oriented climate as is the Australian share market to treat weakening share prices as an incentive to jump on board, but the obvious warning applies here too: should investors focus a bit more on the reason(s) as to why share prices are weaker, or is the fact of the weakening enough to unleash "value" in the foreseeable future? Take banking industry veteran Brian Johnson and his team at CLSA, for instance. They released a 360 pages tome on the sector late in November, with the intriguing title of "Will Bill Kill? How will Shorten's platform reshape the Aussie investor?'. CLSA's conclusion is there should be no hurry whatsoever to jump onto dragged down banking share prices. Sure, they all look "cheap", but fact of the matter is they are not as cheap as they might seem. From an historical angle, CLSA notes present valuations are much closer to long term averages than is likely being appreciated by most market watchers and commentators. Plus banks' abilities to restrain cost input seems limited, while downward pressure on the sector's EPS outlook profile very much remains. Plus we all know Bill Shorten is most likely the next prime minister, right? Equally important, Johnson & Co do not see any serious calamities on the horizon. So no recession, no collapse in property prices, etc. But still: no need to hurry in. Final recommendation: stay Underweight the sector. Favourites are Macquarie Group ((MQG)) and CYBG. Amongst the larger "traditional" banks, CLSA prefers CommBank and National Australia Bank, both rated Outperform. Strategists at the aforementioned Citi have replaced Rio Tinto ((RIO)) with South32 ((S32)) on the Citi Focus List Australia/NZ. Their move was inspired by more potential upside for the latter combined with a more benign house view on the outlook for iron ore prices. South32 is also exposed to steel manufacturing but manganese is a smaller exposure in comparison with Rio Tinto, Citi strategists point out. Other names that kept their presence on the Focus List are Charter Hall ((CHC)), Newcrest Mining ((NCM)), Nufarm ((NUF)), NextDC ((NXT)), Qantas ((QAN)), and Trade Me Group ((TME)). If you thought the above dispersion in views regarding Australian banks is unique to that particular sector, better think again. On the same day the team of commodity experts at UBS reiterated their Overweight stance on the sector, triggering recommendation upgrades for Independence Group ((IGO)), Northern Star ((NST)) and South32, peers at JPMorgan/Ord Minnett turned a whole heap more cautious, arguing instead concerns around China's growth outlook are most likely to feed through into lower commodity prices, with follow-through impact on share prices for Australia's producers. As such, the recommendation for BHP Group ((BHP)) has been pulled back to Hold, with a fresh price target of $35 (instead of $38). Mind you, this is still well above the share price on Thursday. There are some glaring similarities between the two, with key preferences for the sector at JPM/Ord Minnett being Rio Tinto, Newcrest Mining, Northern Star, Independence Group, and Mineral Resources ((MIN)). In addition to BHP, the recommendations for Alumina ltd ((AWC)) and Evolution Mining (EVN)) were equally downgraded to Hold. Update on Conviction Calls at Wilsons: no changes. Remain on the list: ARQ Group ((ARQ)), Bravura Solutions ((BVS)), Noni B ((NBL)), GWA Group ((GWA)), Collins Foods ((CKF)), Ruralco ((RHL)), Ridley Corp ((RIC)), Nanosonics ((NAN)), ImpediMed ((IPD)), Pinnacle Investment ((PNI)), Equity Trustees ((EQT)), Ausdrill ((ASL)), Mastermyne ((MYE)), and NRW Holdings ((NWH)). Market strategists and Model Portfolio managers at UBS continue to recommend investment portfolios are Overweighted towards Defensives, Metals & Mining, and Energy, while retaining Underweight positions for Banks and Other Financials, as well as for REITs (note: not included under Defensives). As far as individual stocks are concerned, UBS reports BHP Group, Woodside Petroleum ((WPL)) and Woolworths ((WOW)) screen well, with Bank of Queensland, Medibank Private ((MPL)) and Mirvac Group ((MGR)) on the other end of the spectrum. Equally noteworthy is the fact UBS is also recommending to be Underweight gold, while Ord Minnett (see earlier) has actually started warming towards the gold sector again. Other Cyclicals, which I assume includes the likes of Incitec Pivot ((IPL)) and Orica ((ORI)), also remain in the Underweight basket at UBS. The stand-out observation about UBS's present Model Portfolio positioning/recommendation is, however, that the largest sectorial Underweight exposure is reserved for Australian banks. Clearly, UBS does not share the more optimistic view that most, if not all, of the bad news has now been accounted for in today's share prices. Peers at Morgan Stanley simply cannot get overly excited about the Australian share market in 2019. The freshly set target of 6000 for the ASX200 by year-end next year does suggest there should be upside, which provides some comfort in light of the disappointingly weak performance over the past three months (and counting), leading the strategists to label themselves "Constructively Cautious". On Morgan Stanley's projections, 4% EPS growth is the realistic assumption for corporate Australia in the year ahead, with "caution around multiples" considered warranted. As far as the Model Portfolio is concerned, Morgan Stanley's remains Underweight banks, and has now moved Overweight healthcare as well as Overweight bulk commodities. Exposure to residential housing has been further reduced by selling out of Boral ((BLD)), while the forecast of lower US bond yields in 2019 has supported adding exposure to Charter Hall, Spark Infrastructure ((SKI)) and AusNet Services ((AST)). Young and upcoming technology disruptor Xero ((XRO)) was added to the Portfolio on "analyst conviction". Emerging companies specialists at Ord Minnett remain stuck in the same lane, holding on to their Top Pick preference in favour of Seven Group ((SVW)) while their Bottom Pick (least preferred) is still Tassal Group ((TGR)). December's update on stockbroker Morgans' High Conviction Calls involved the inclusion of Cleanaway Waste Management ((CWY)) and the removal of CML Group ((CGR)). 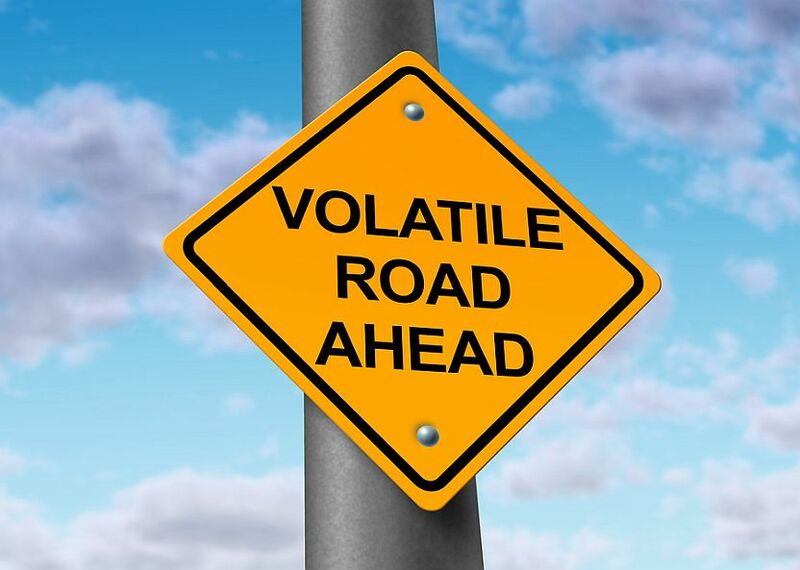 Morgans suggests there is but one certainty for investors right now and that is that volatility will remain high. Apart from Cleanaway Waste Management, the list of Conviction Buys also consists of ResMed ((RMD)), OZ Minerals ((OZL)), Westpac, Reliance Worldwide Corp ((RWC)), Lovisa Holdings ((LOV)), PWR Holdings ((PWH)), Volpara Health Technologies ((VHT)), Kina Securities ((KSL)), and Australian Finance Group ((AFG)). The stockbroker has also one active trading idea, which is to buy into beaten-down Corporate Travel ((CTD)) shares. The Australia/New Zealand Conviction List at Goldman Sachs currently comprises of Afterpay Touch ((APT)), ANZ Bank, Aristocrat Leisure ((ALL)), Crown Resorts ((CWN)), Huon Aquaculture ((HUO)), IMF Bentham ((IMF)), Lendlease Group ((LLC)), Lifestyle Communities ((LIC)), Metcash ((MTS)), Origin Energy ((ORG)), Orora ((ORA)), Pushpay Holdings ((PPH)), and .. Telstra ((TLS)). This week Goldman Sachs added BHP Group to the Conviction List, explaining the move as "due to its favourable commodity mix (we are most positive on oil), superior margins (c.55%), non-core divestment potential, oil exploration upside and likely further share buybacks from February 2019 onwards". And finally, for all investors sick and tired of gazing at weakening share prices, there is still hope with quant modeling at Longview Economics suggesting the late-in-the-year Santa rally is still a genuine prospect. Longview Economics even dares to predict this year's Santa rally might be a "strong" one. The not so positive news is that while Longview Economics can see a bout of short-term optimism pushing up global equities into the opening quarter of 2019, the humans behind these models remain very much concerned about global liquidity which is seen tightening, and already deemed too tight for comfort. Enjoy the festive season. See you all back on the other end of it, in early 2019.